Of the 200 billion stars in our local Milky Way galaxy, astronomers with high powered telescopes predict that there are billions of planets similar in size and composition to our own planet. Given enough time we would assume that the local humanoid inhabitants would do one of two things; launch sinister spacecraft to subjugate earth's inhabitants or build a series of Lincoln Continental style El Caminos Rancheros for hearse duty...and thankfully the inhabitants of local Alpha Centauri Bb (the folks on the scientific extrasolar planetary naming committee really need to recruit someone from Hollywood to name these things for them..Bb..really?) have chosen the later path and a nearby wormhole zipped this one onto our planet. 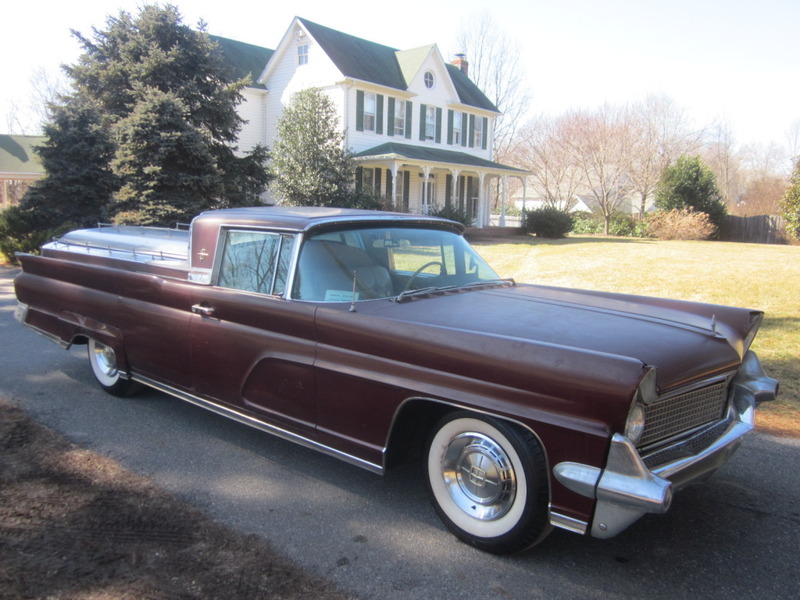 Find this 1959 Lincoln Continental hearse for sale in Gambrills, MD, USA, Planet Earth, 3rd Planet from the Sun, Inner Rim of the Orion Arm, Milky Way, the Known Universe...via ebay (the ebay) currently bidding at $12,000 reserve-not-met with 4 earth hours to go. The 1959 Continental is a gigantic car by any planet's standards and at almost 19 feet in length is too long to fit in the average Earth garage, but fits quite nicely in the standard planet Bb garage. Earth's gravity also has a profound effect on this unit-body giant, tipping the scales at over 5000 lbs in standard configuration; who knows how much this casket-hauler version weighs. A quick peak into the rear shows a pizza oven sized opening with plenty of room for a casket or a few sleeping bags. 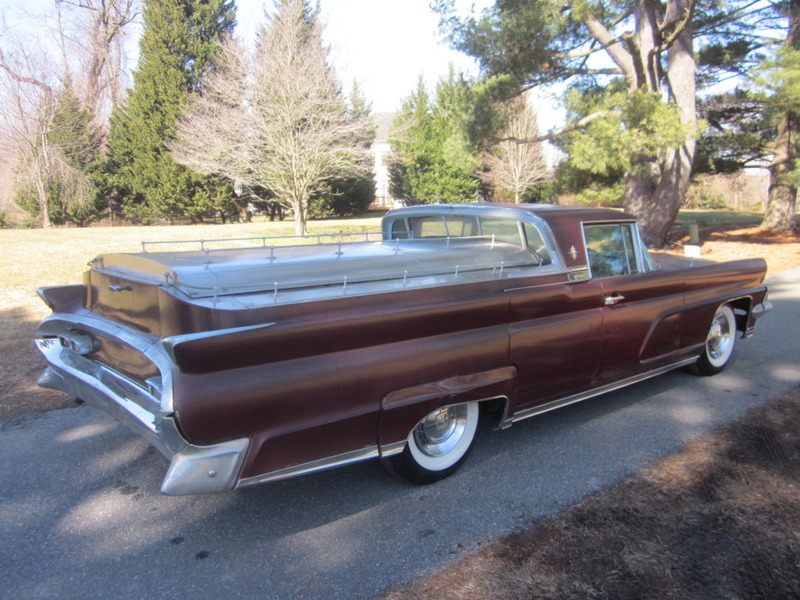 The seller states that this could be one of the rarest of all funeral cars, but then he probably wasn't a DT reader around Halloween last year where all manner of one-off casket movers were featured. 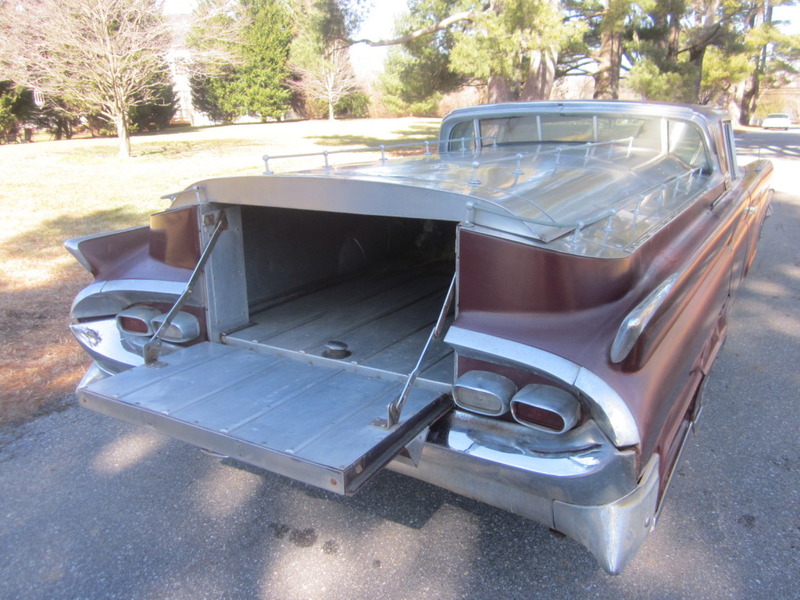 This hearse does exude a certain sportiness missing from most wagon-shaped hearses and if we aren't just put out on the curb on Thursday when we pass on to the great racetrack in the sky, we wouldn't mind having our last ride be inside this beast. ~ damn! i want this Linc-ero, [proper suffix for FoMoCo's bastardized into pickup configuration?] as part of my funeral processional. Oh yeah, that does sound better - the Lincero. El Caminoization is still the preferred generic term for any coupe/sedan/wagon/minivan/tractor made into a pickup, but the Lincero rolls off the tongue, especially if you soften the 'c'. Lin-cher-O. I like the "Lin-cher-o" pronunciation, especially since Ford's own El Camino was called the Ranchero. Maybe we should officially change the spelling to Linchero, since you have to be Italian to understand that the "c" in Lincero is pronounced as a "ch!" the rear 3/4 view screams BatCave or BatCrypt. nor a "hearse", as so put here. Its specific use is for transporting floral arrangements from the Fun Home to Church and/or ultimately the cemetery.